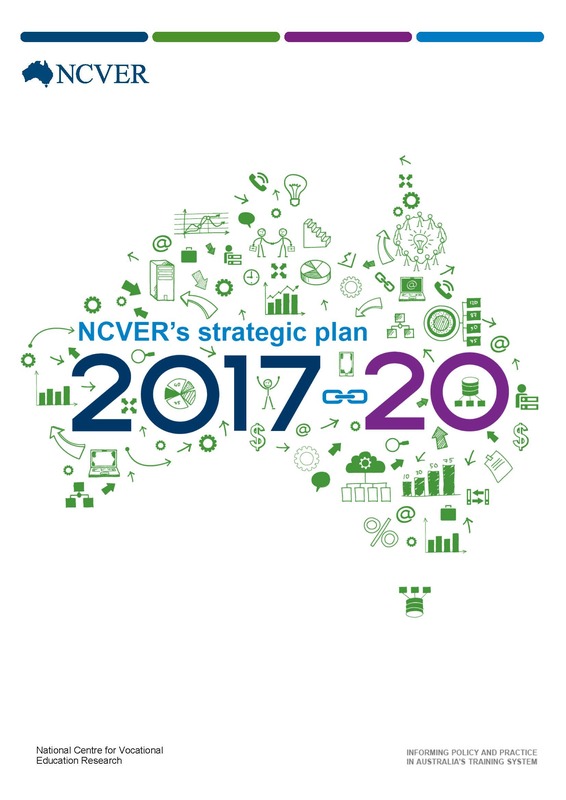 NCVER's latest strategic plan outlines the vision and mission, and 7 strategic objectives and interrelated actions, that will direct company activities for the next 3 years. It also details the values that underpin our culture, our commitment to quality and integrity, measures of success against the objectives, and principles of practice and operation that explain the many stakeholders we support and for what purpose. This plan is based on the results of an extensive independent review by the NOUS Group, which was designed to ascertain how NCVER is perceived and how our data and products are used by various members of the VET sector. As part of this consultation, NOUS conducted around 60 interviews with key VET sector stakeholders across all jurisdictions and received over 500 responses to a comprehensive national survey.